I like to listen to music, just like anybody else. And like a lot of people out there, I crave a musical atmosphere where I don’t have to listen to Bollywood music blaring out the speakers all the time. 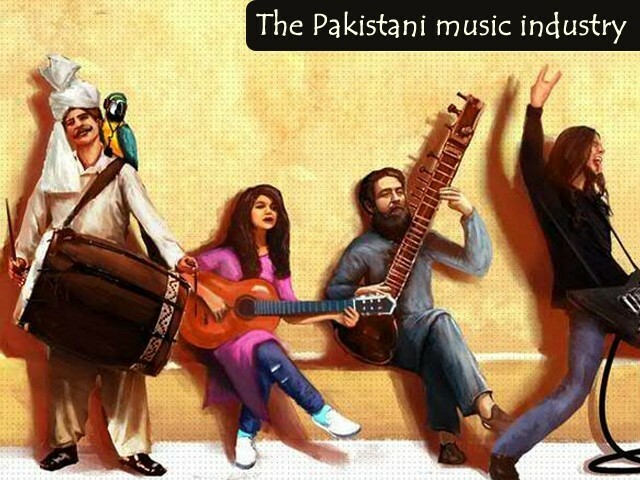 And it makes me wonder, whatever happened to the Pakistani music industry? Did it just die? Are we not good enough? Has everyone abandoned it? In this social media and gadget-infested world, it is not hard to find answers to these questions. I have had discussions with famous artists about it, talked about this on television and even had drawing room discussions about the state of the essentially Pakistan-grown music. And I have discovered that it’s not as bad as it seems. There are so many musicians out there trying to make a name for themselves, and are using social media and the internet to put out their work for the world to see. And for them, to come together collectively in order to have a single platform to showcase their work has been the biggest challenge, apart from selling their music. This is where Patari comes in. 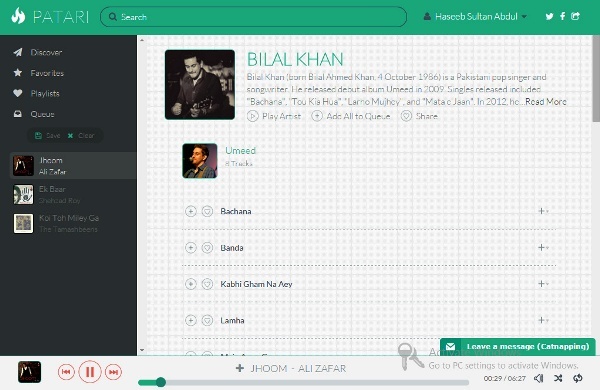 Currently in its beta phase, Patari has brought together numerous musicians to provide a single platform to every musician in Pakistan for people to listen to. They have collaborated with over 80 music labels to bring on board all the musical talent in the country and have worked with great music journalists to curate the playlists currently present on the website. Breaking down the website for you guys, the part that got me intrigued was their invite. It’s cleverly designed to lure the user into signing up. But the problem right now is that only a limited number of invites were sent, as the website is currently in its beta phase. As one clicks on and signs up, the website automatically takes you to the ‘Discover’ section where you can find all the genres and choose ones you might be interested in. Apart from the regular genres out there, the ones that caught my attention were ‘Bahngra Pop’, ‘Devotional’ (Sufi music), ‘Naya Pakistan’ and ‘Socio/Political’. With a vast library featuring music categorised according to the kind of lyrics one would want to hear, is something worth checking out. Checking out the Sufi genre, you will find Arieb Azhar, Ali Zafar, Junoon along with many new artists like Abdullah Qureshi. As you discover, you will see that there are categorisations according to mood as well. You have, from your ‘Break Up’ playlist to ‘Baarish’ (rain) to ‘Funk’ and playlists curated according to the kind of emotions one might want to indulge in. The ‘Break Up’ playlist features all cool artists, from Shehzad Roy and Najam Sheraz, to new artists like The Tamaashbeens. Apart from already present playlists on the website, you can make your own and ‘favourite’ the songs you might want to put on repeat. There’s also a feature through which artists on board have their bios on their own artist pages. Their songs are categorised according to their albums and are featured on other albums. With the international market equipped with websites like Spotify, where artists get a part of the revenue generated through subscriptions, Patari.pk is providing local artists an outlet of the same kind. 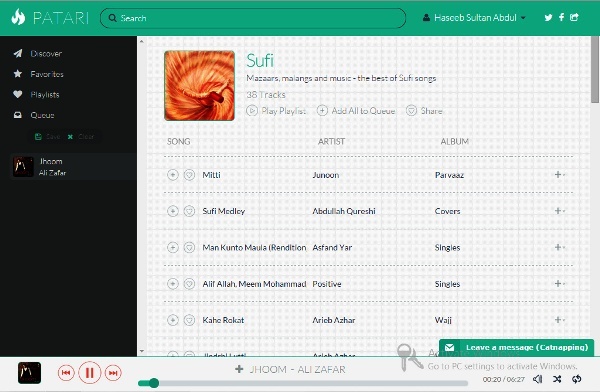 It has a monitisation program through which the artist will get 30% of the cut from Patari’s revenue. This gives hope to upcoming musicians who think that pursuing music is not a financially feasible option. However, keeping all praise aside, the real issue Patari will have to face is engaging its customers when it goes into its commercial zone. Will users pay for the music they want to listen to? Are users willing to pay for something they can surely find on either YouTube or other websites? In a country like Pakistan, where piracy is at its peak, Patari will definitely face tough competition if it wants to stay relevant. 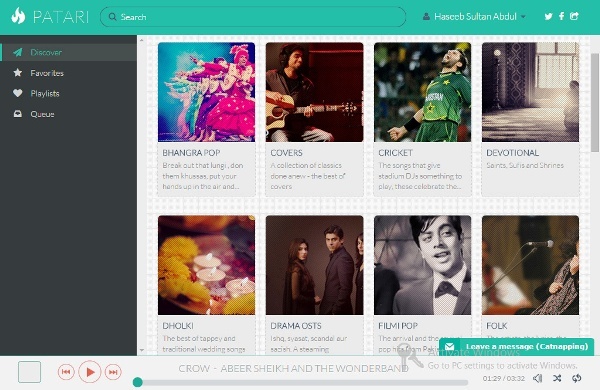 With more of the Pakistani community coming on to social media, how will Patari appeal to the masses once it does decide to go commercial? 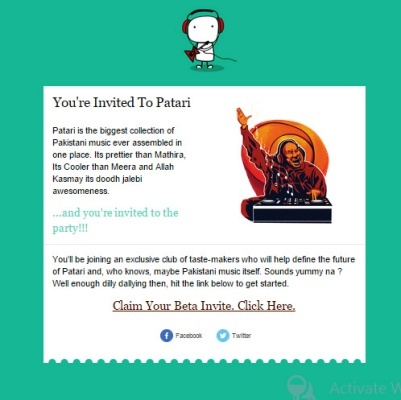 Virtual hipsters will pay for the service, but if there’s a simple music lover who can find the things he/she wants on other platforms, how will Patari lure such people into using it? 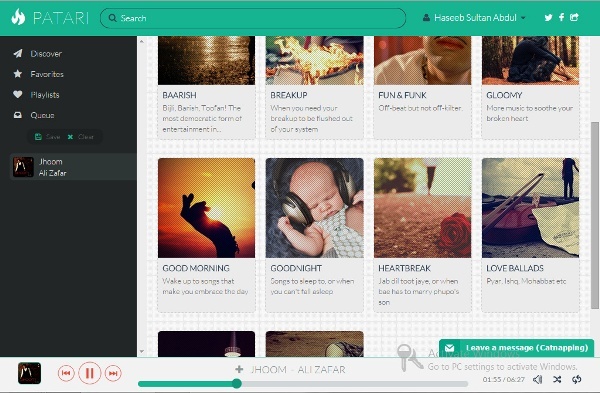 Only time will tell how Patari does in the future, but right now, it looks like something worth appreciating. patari waalon ko rishwat de sakta hoon kya? I just asked my best friend if she got an invite from #Patari and she replied "Patari pita-rahi hay". So I'm not the only one. Feels good. From how it’s looking, Patari might just be the thing our Pakistani music industry needs to bring our people out from under the Bollywood rock and back to enjoying our own music. 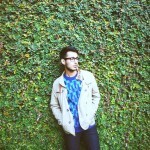 So if you’re craving some great Pakistani music, I suggest you sign up and give this a try. Supporting our music industry is very important and this is where you can do it – so stop complaining about what Pakistan lacks and start appreciating the little things we do have! Question! Is it going to be a music streaming service only or will we be able to download music as well, upon payment of course? Another question! How much will the subscription cost? If you are going to make it better then Gaana then i am with you. bro i am paying them for music service. give us some good stuff. mobile apps please. Best of luck. Proud of you.